What Questions Should You Be Asking Your SEO Adviser? Posted on 27th July 2011 at 08:04. If you’re a relatively new business and are looking to drive more targeted traffic to your website, then you’ll probably need to spend a little cash and invest in search engine optimisation services. Now there are lots of seo advisers out there who’ll promise the earth but won’t necessarily deliver either what you want, or what benefits your business most. So, how do you know you’re going to get the services that are necessary to drive your business forward? How do you distinguish between those that can merely talk the talk, and those that actually walk the walk? Well, it’s simple really: all you need to do is ask some reaching questions and see what answers you get in response. Any seo adviser needs to be able to take a holistic look at your business as a whole and understand what you do and what you’re trying to achieve. They’ll need to understand your customer’s online buying behaviour; they’ll care about ensuring you provide the best user experience possible, they’ll appreciate the need for relevant landing pages and be fully conversant with the need for carefully crafted, value-driven content. If that’s not enough, they’ll also need to know how the major social media sites contribute to effective seo and understand the import and significance of Google’s Panda update, and the full implications for poor, irrelevant content. If your SEO adviser promises to provide an article or a blog for you, you need to know where it came from. You should be asking relevant questions, because it can impact on your website. Was the article bought in from abroad? Was it written locally by an experienced content writer? Does the content provider have a portfolio of work you can analyse? The reason this is important is because they’re writing about your brand or business and what they write can have consequences, particularly from the search engines if they suspect a bit of skullduggery. Good content writing costs: if someone offers you content on the cheap, then it will probably be worthless. A good content writer researches and attributes sources. If yours doesn’t, then all is not well. Content is now generally regarded as being more important than advertising in drawing customers toward you. Therefore you should think seriously about the quality of writer/content creator you employ. It may cost more, but it will pay dividends in the long run. Google now places great value on the authority of social media sites and incorporates these into its search results. In fact, Google believes these weighting higher, and have more authority than website backlinks or Metatags. 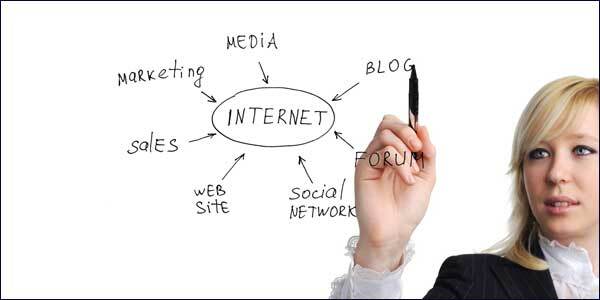 Some seo companies choose to outsource their social media content offshore to places like India and the Philippines. Unfortunately, whilst this might be cheaper, you do get what you pay for. You can’t pay bargain basement prices and expect the finest products in return. All you need to do is look at these sites and assess the quality of the content: the standards of English are often poor, and there is an obvious lack of appreciation of good content and editing, let alone scant consideration given to how these can affect a website’s reputation. If you choose to go with this cheap and cheerful approach, there is a considerable risk that your content may be downgraded, which will possibly lead to major consequences not just for your corporate brand but also your search engine rankings.